If you’re looking to help the mustangs, there are many ways you can help. From adoption to volunteer opportunities, wild mustangs need our assistance. Together we can make a difference and work toward a positive solution. Our western range in the United States is home to thousands of wild horses, called “Mustangs.” From early years, there has been tension between conserving this iconic symbol of our American heritage and eliminating the populations to serve other interests. Ever since the Homestead Act was passed in 1862, the interests of settlers have clashed with the wild horses on the landscape. During this time, mustangs were shot or rounded up and sent to meat markets to make room for livestock, ranchers, and domesticated horses. Later, the mustangs were used for war. By time US entered WWI in 1917, 7 million horses had died on battlefields and there was a surge of interest in rounding up mustangs for battle. After WWI, America saw the rise of the pet food industry and the mustangs were rounded up for use in dog food. In 1971, largely due to efforts by wild horse advocate, Velma Johnston (who came to be called Wild Horse Annie) Congress passed the Wild and Free Roaming Horses and Burros Act, which recognized the mustangs as an integral symbol of American history and instituted protection and management of the herds on public lands. The Bureau of Land Management (BLM) is the agency that has been placed in charge of managing the wild horse herds. The herds are managed on 27 million acres of public lands on herd management areas. 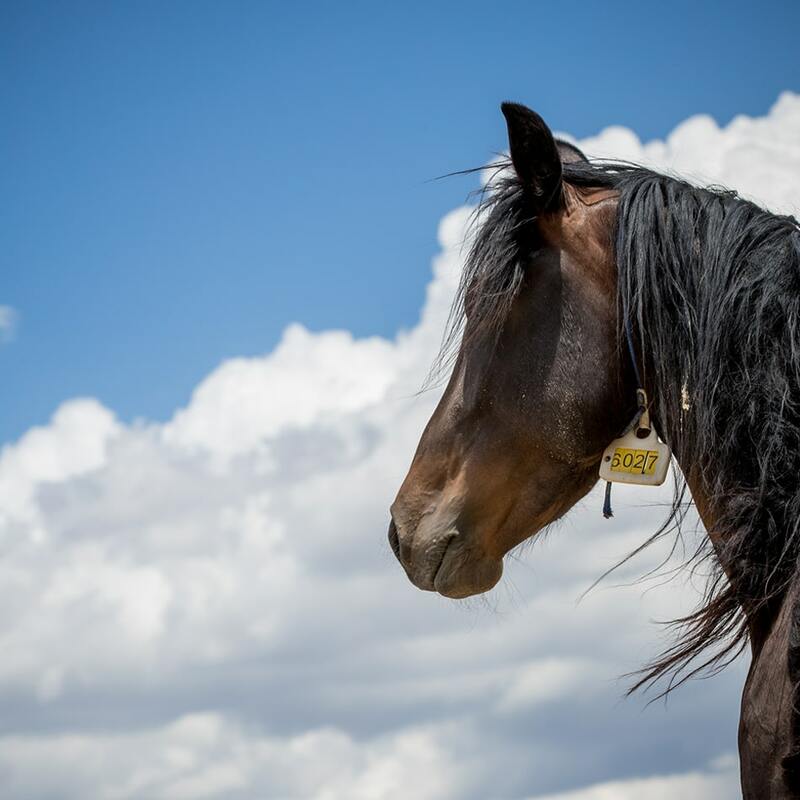 Every year, the BLM rounds up thousands of wild horses and burros from the rangelands and adopts them out to the public in order to manage population numbers to meet the appropriate management level (AML) established by the organization. The AML is controversial and many activists argue that it serves the needs of oil, gas, mining and livestock industries rather than the needs of the wildlife. Regardless, the issue with management strategy is that demands for adoption of the horses has never met the number of horses being rounded up. 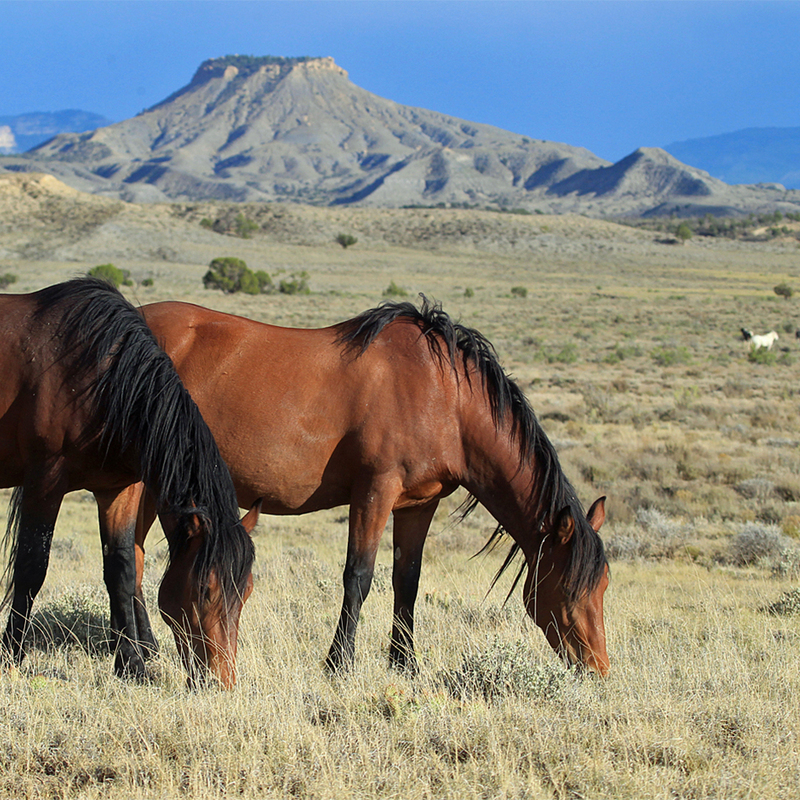 The result is that nearly 50,000 mustangs have been placed in long term holding, costing taxpayers $50 million annually and eating up the BLM’s budget to research more humane and effective management strategies. Adoption is one of the most important actions that can be taken. The mustang excels at a variety of disciplines and presents a wonderful opportunity to learn more about instincts and equine behavior. 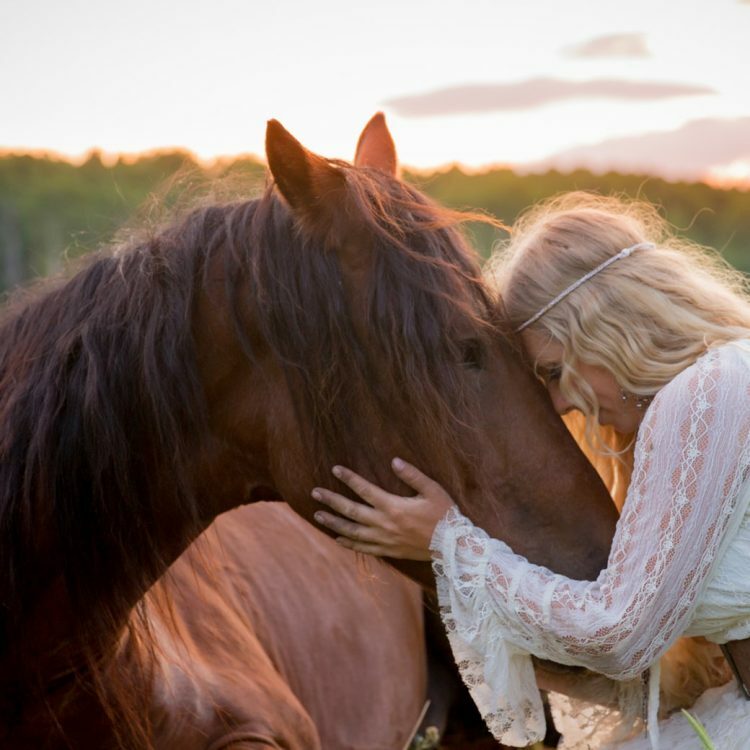 Please keep in mind that the biggest hurdle in adoption–and successful adoption, in which the horse is not returned to the BLM or sold–is a lack of education regarding equine behavior. 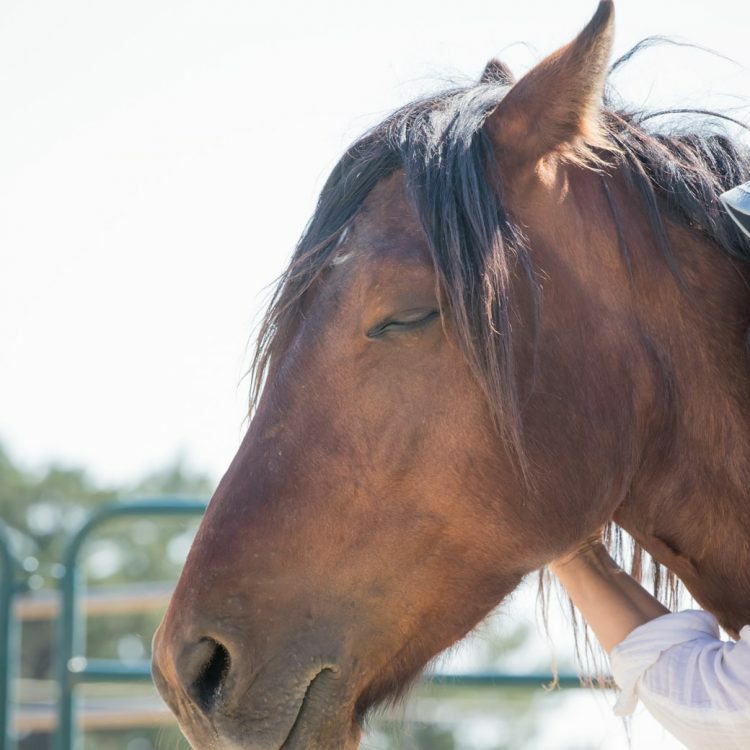 Taking on a mustang is a great opportunity to learn more about how we can motivate our horses and better understand their needs, communicate with them in a way they understand and honors their natural interactions, and honor their free will in the relationship. You can learn more about the educational programs I offer by visiting the academy, which offers both on-line and on-campus learning opportunities. 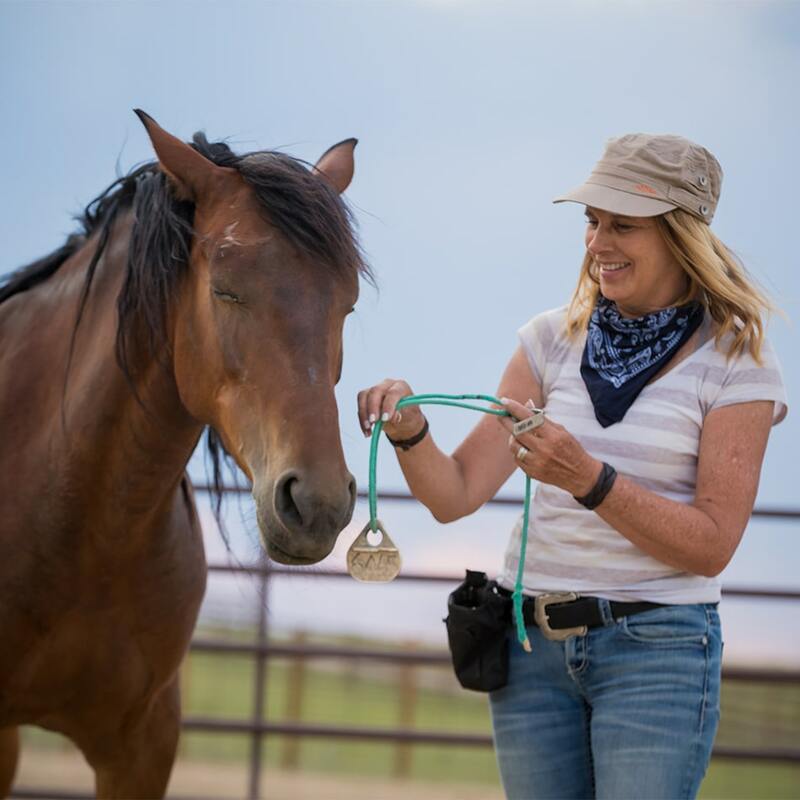 If you are interested in adopting and gentling the mustang yourself, but are looking for training on how to do so, you may be interested in participating in a Running Wild Retreat, in which I pair participants with a wild horse and walk participants them through the gentling process that I use. Participants have the option of adopting their mustang at the end of the retreat. 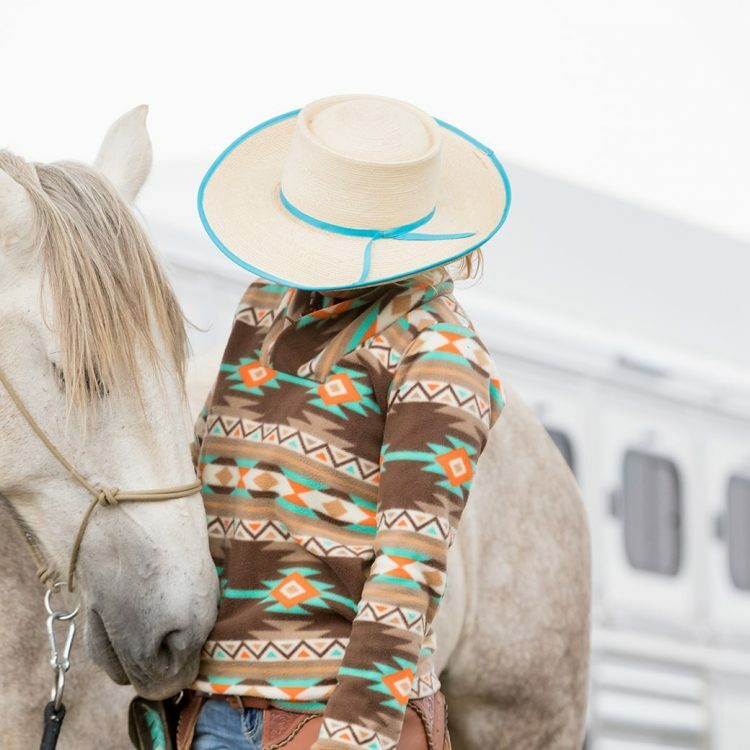 If you have the facilities and knowledge to gentle the horse yourself, you can visit a Bureau of Land Management facility or adopt through an online adoption (these happen regularly). If you need someone to gentle the mustang, you can use a local T.I.P. trainer through the Mustang Heritage Foundation. They will pick the mustang from the facility and gentle the horse. The Great Escape Mustang Sanctuary are regularly rehoming gentled mustangs, through their adoption storefront and they provide ongoing support and training for adopters. Not all of us are at a point in our lives where we can dedicate the time to adopting a wild horse. But another way you can help support adoption is by sponsoring a mustang. There are several different opportunities to sponsor a mustang and help with costs of feed, hay, and care. One option for this is through our friends at The Great Escape Mustang Sanctuary. From individual sponsorship to corporate sponsorship, The Great Escape Mustang Sanctuary has a number of sponsorship opportunities to choose from. Help manage wild horses in the wild. 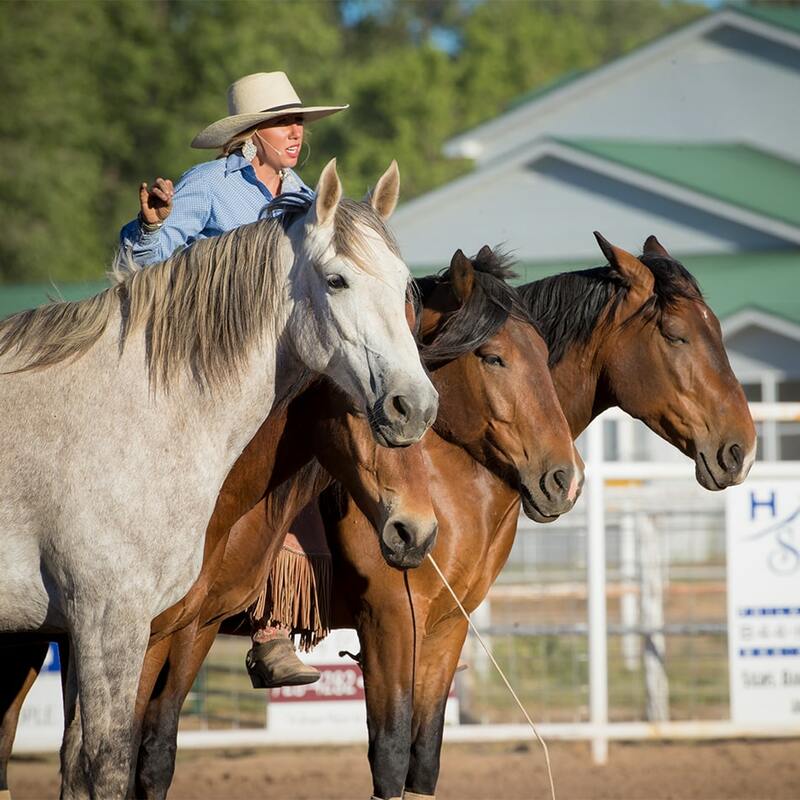 The primary approach the BLM has used to manage our horses is round-ups. According to David Philipps, author of Wild Horse Country, the main issue with round-ups lies not in its impact on individual horses being rounded up (as the roundups can result in stress, injury and sometimes death) but in its impact on the agency that oversees them. The result is a dangerous cycle that serves to perpetuate growing population numbers and a starving budget. The primary issue with roundups is that this strategy produces thousands of captive horses for which the BLM has to find a place to keep. The problem is that the number of adopters has never equaled the number of horses the agency removes from the range. The unwanted horses build up in storage and storing horses costs a lot of money–The horses in long term holding eat up the BLM’s budget and there is no money left to institute more effective and sustainable on the range management practices or increase adoptions (currently there are nearly 50,000 mustangs in holding; one mustang costs approximately $50,000 over the course of its lifetime in holding). In this way, a dangerous cycle is fueled, in which the BLM must round up more horses, which increases the expenses of long term holding, which drains the budget and no funding is left for on the range, sustainable management, research, and adoption programs. The solution lies in on range management practices in areas where population management is needed. One form of on the range management is via a birth control drug called PZP. But this process requires support from volunteers to document herds and help with administration. By joining organizations such as SWAT, you can have an active role and make a difference in the lives of mustangs. 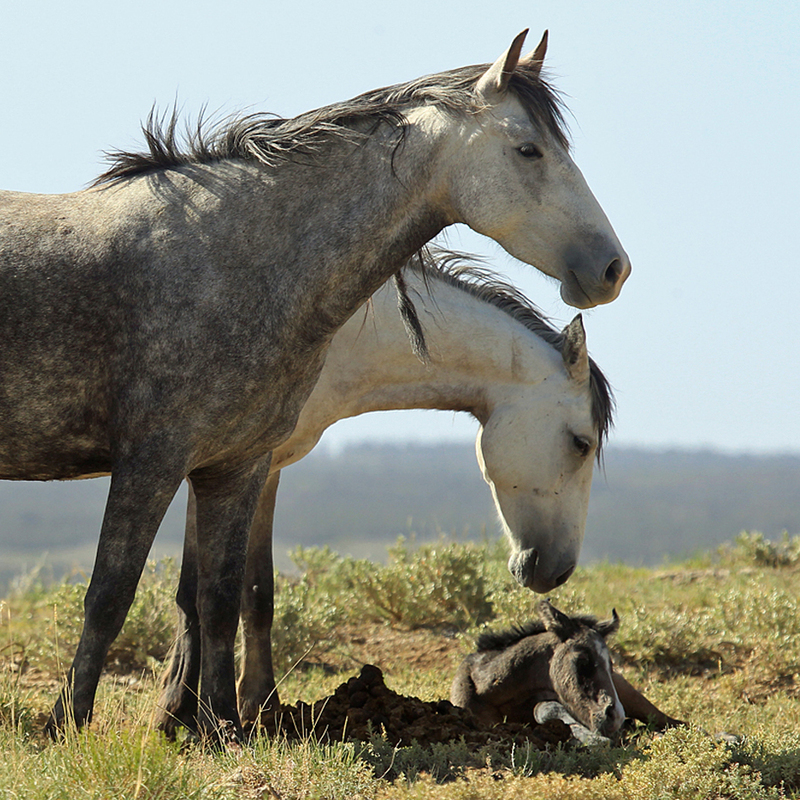 Part 3 | Can Fertility Control Keep Wild Horses in Check? 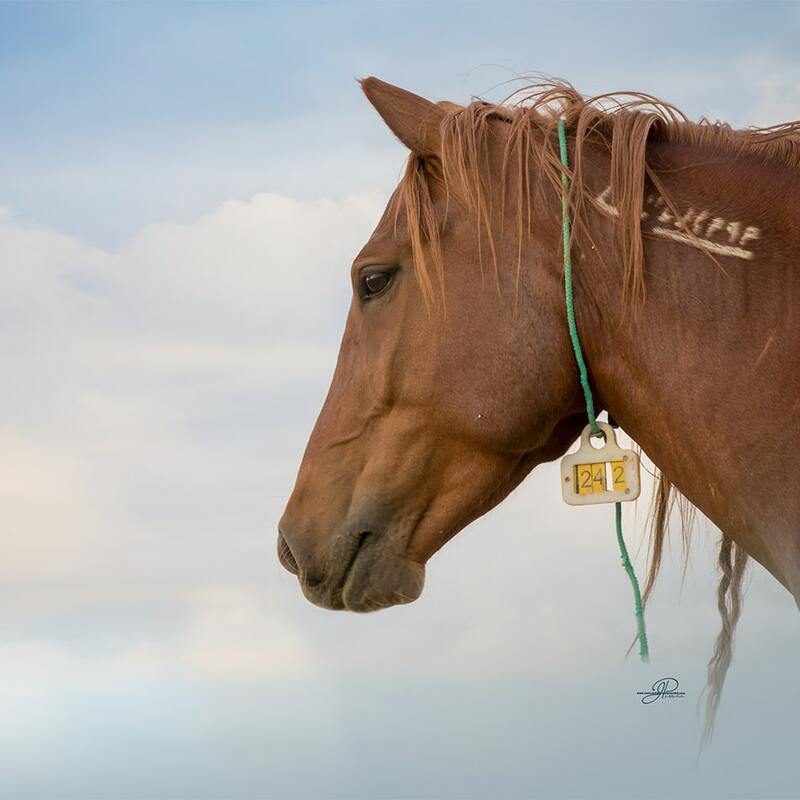 Visit TheAmericanWildHorse.com for documentaries such as “Disappointment Valley: A Modern Day Western” that explore the competing needs of oil, gas, and mining industries and the effect on mustang populations. Read Wild Horse Country, by David Philipps. I’ve found that Philipps does a great job investigating the issue and all sides of it with a hunger to develop an objective stance that is focused on finding solutions.